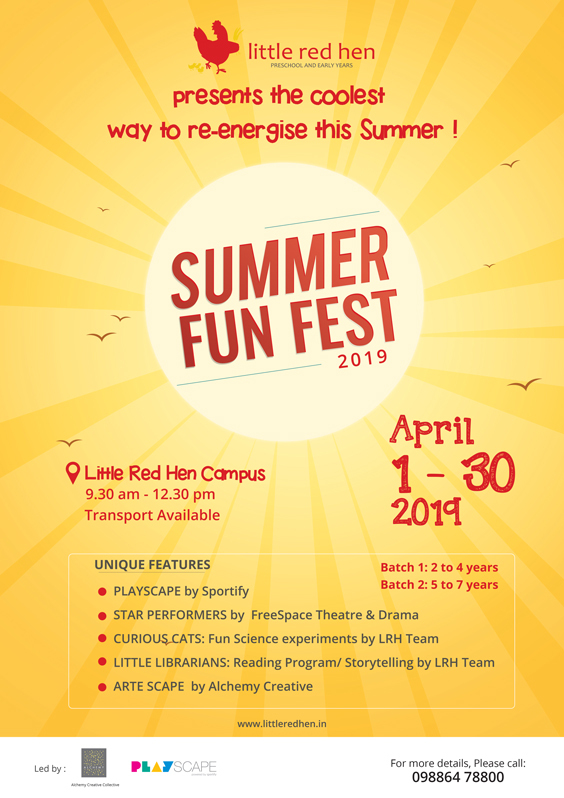 Little Red Hen Preschool & Early Years present the coolest way to re-energise this Summer with this fun Summer Camp for Children in Kothanur area. Perfect for ages from 2-8 years in two separate peer groups – 2 to 4 years & 5 to 8 years. Transport Available.